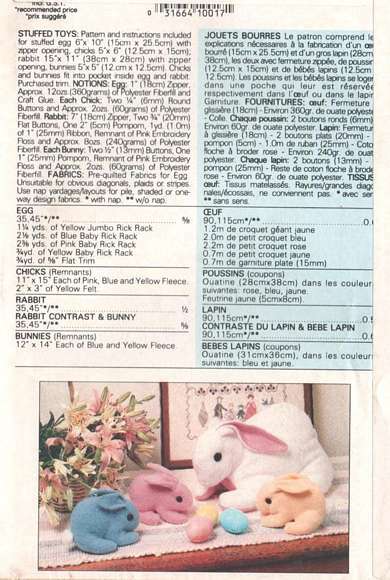 Stuffed toys pattern includes patterns and instructions for Stuffed Egg (6"x10") with zipper opening, Chicks (5"x6") and Rabbit (15"x11") with zipper opening and Bunnies (5"x5"). Chicks and bunnies fit into pocket inside egg and rabbit. Click on additional image below the description. Copyright 1988. Now out of print.